Thanks to Liz Rodriguez of Design House Agency for posting this helpful list of FREE ways to boost website traffic on LinkedIn, and guess what, using the words "sweat equity". There really is no quick fix. You have to do the work, or hire someone (like me) to do the work. Think of it like being a Socialite. You have to get made up, dressed up, attend the parties, schmooze, get your picture taken, repeat. In other words, put the time in. [Do a Podcast] not so much . . . The article begins with "Most businesses now count on a web presence as a big part of their marketing campaign. Whether it is a small start-up or a major corporation, Internet marketing is absolutely necessary for businesses that want to reach the biggest audience." I took their list and added my own comments below. How do you explain to people who aren't participating in social media, just how much they're missing out on. I look at it this way, life is a conversation, and social media puts EVERYONE into the mix. You have to stand up and be counted. It's fun! Your business or services should be on YouTube, Facebook, twitter, LinkedIn, Pinterest, Instagram, tumblr, Reddit, and anything else you can fit in. Use hashtags so you will appear in the search results for your particular keywords (it also visually calls attention to them). You have expertise. Share your knowledge, increase your exposure and influence, and build your reputation. Take the time to read and answer comments. Always be positive! There is no substitute for substance. (Also, make sure you put the guest blog post content on your own site as well.) Or, ask someone to write for your site. It shouldn't be hard to find out (if you don't already know) which websites are the most popular for your topic, for example realtor.com for Real Estate is just a must-participate site. You should never stop learning, so don't feel it's any negative reflection on what you already know that you want to learn more. Another free way to get traffic to your site it by writing an article on hot button issues or with helpful information that people are currently searching for. You could do some keyword research in your niche and try to come up with article subjects and titles that are related to popular searches. “How to” articles and “Top 10” type articles are always popular and could generate a lot of free traffic for your site. An interview with someone in your niche or field could generate a lot of free traffic, and you can multiply that by sharing it via social media. You will not only get traffic from people searching for the topic, but also people that are searching for the person you interviewed. 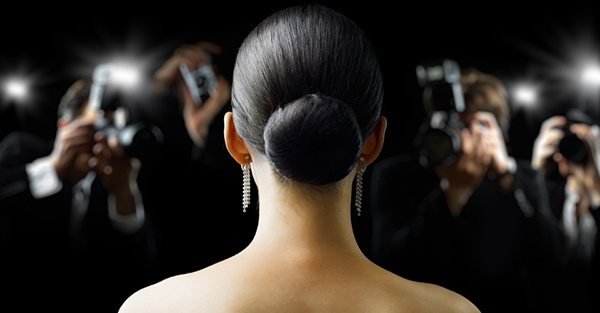 If you are lucky enough to interview someone famous, then this could be a huge boost. People are increasingly turning to video over text. Make an introductory video or tutorial about your topic. Be sure to put your website link in the description as well as in the video. YouTube is a good source to drive mobile and tablet traffic to your site. 8. [Do a Podcast] No, Don't. The author states "Podcasts are extremely popular." Meh. For me, it's like radio. They are often too slow in getting to the heart of the matter and much too conversational. Whereas, with video, they try to keep it short and give you content that's meaty, or, at least, on point. The podcast wanders and meanders and they go on and on about nothing with introductory small talk and I'm ready to move on before they ever get to the reason I chose to listen. Podcasts? Not for me. I'm going to start with what he says: "This could be an entire article unto itself. The best way to get the most out of search engine optimization is by hiring a qualified SEO consultant. They will know the latest ways to help get your site to the top of search engines. A good rule of thumbs in SEO is that content is king. If you generate good content on a consistent basis you will increase the links and audience of your site." If you site was done properly (unlike mine LOL) the SEO was part of the creation process. Unless you're programming from scratch, it's built in to WordPress blogs and the like, but you have to take the time to fill out the tags. It takes time. You get out what you put in. What you really need to do is prioritize having a Social Media presence, and put some resources toward it. You don't have to do it yourself, but you have to have someone in the ring fighting for you.